LAGEOS is a passive satellite with no power, communications, or moving parts. 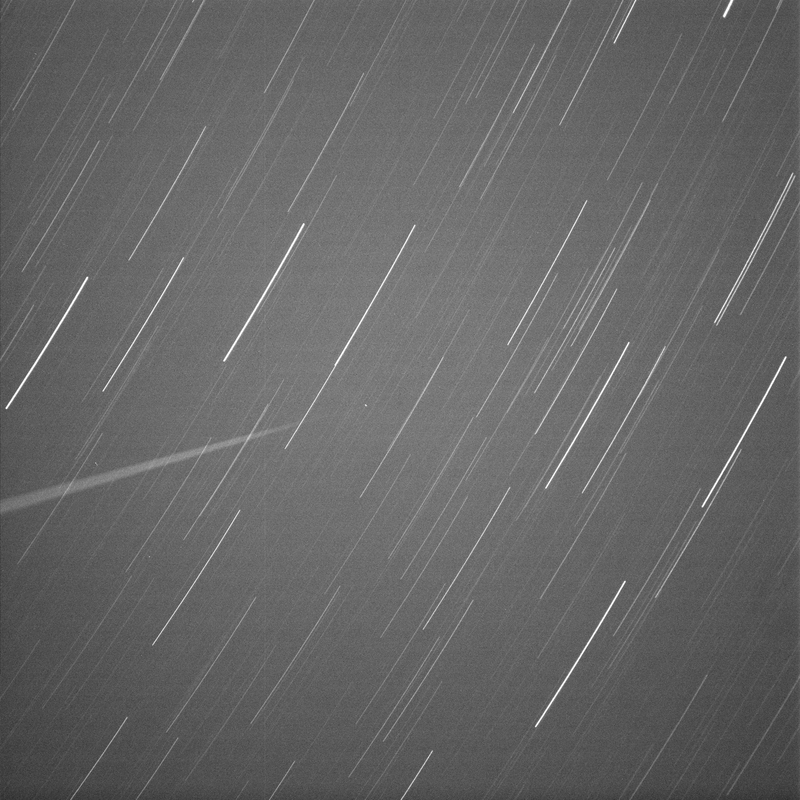 LAGEOS satellite "operations" consists of simply the generation of the orbit predictions necessary for the stations to acquire and track the satellite. Today, these predictions are routinely generated by NASA Goddard Space Flight Center, NERC Space Geodesy Facility, and Japan Aerospace Exploration Agency (JAXA). 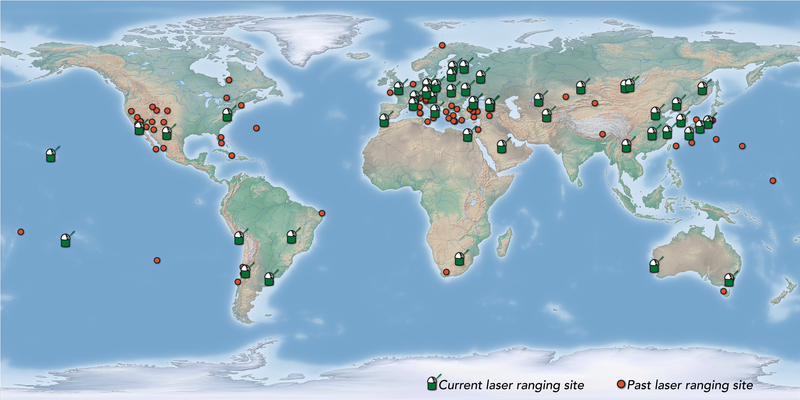 The predictions are distributed by NASA’s Crustal Dynamics Data Information System (CDDIS) and the EUROLAS Data Center (EDC), data centers supporting the International Laser Ranging Service (ILRS). 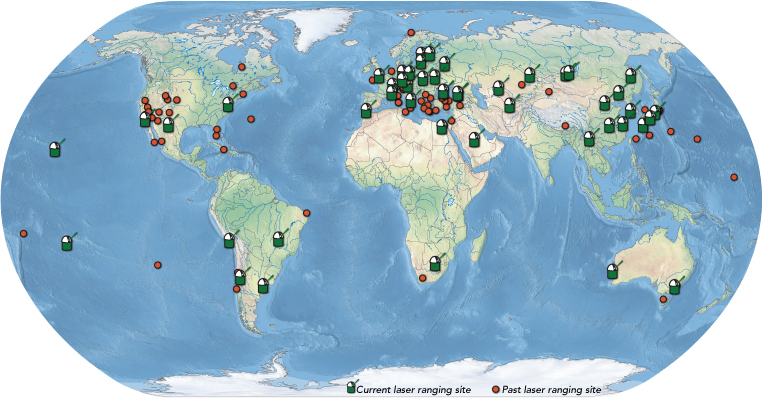 Over 120 Satellite Laser Ranging (SLR) sites around the world have tracked LAGEOS since its launch on May 4, 1976. Today, a network of over 35 SLR stations continue to track LAGEOS daily. Satellite Laser Ranging (SLR) observations on LAGEOS, LAGEOS-2, Etalon-1 and Etalon-2 are reduced in 7-day arcs to generate the individual Earth Orientation Parameters (EOP) and station positions solutions. The observations are reduced to generate a loosely constrained solution for station coordinates and EOPs. The EOPs include the x-pole, y-pole and Length-Of-Day (LOD), all computed as a daily average. The station positions, referenced to the midpoint of each 7-day arc, refer to the official station markers. Two types of products are distributed each week by the ILRS: a loosely constrained estimation of coordinates and EOP and an EOP solution, derived from the previous one and constrained to the International Terrestrial Reference Frame (ITRF). Official ILRS Analysis Centers and Combination Centers are tasked with the generation of the products with individual and combined solutions respectively. Both the individual and combined solutions follow strict standards agreed upon within the ILRS to provide high quality products consistent with the IERS Conventions. In addition to the regular products, LAGEOS data is also used as part of the ITRF. The time series of weekly solutions are delivered to to the International Earth Rotation and Reference Systems Service (IERS) as an official ILRS contributed data set for each ITRF definition, the most recent being ITRF2014. More information on the ILRS products can be found on the ILRS website. NASA operations, tracking, and product generation for LAGEOS are supported by NASA's Space Geodesy Project. 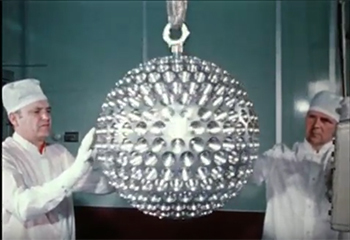 Now 40, NASA's LAGEOS Set the Bar for Studies of Earth - On May 4, 1976, NASA launched a cannonball-shaped satellite that transformed studies of Earth’s shape, rotation and gravity field. Celebrating 40 Years of LAGEOS - The Space Geodesy Project at NASA GSFC hosted a LAGEOS 40 Year Celebration at GSFC on May 11, 2016. View the video. If you can't view the video, your browser may not support HTML5 videos. 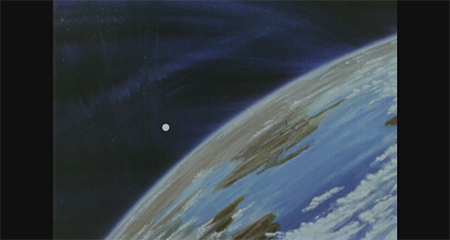 View the entire 28-minute video (1970) from the National Archives.